Take a moment to fill out the form below to join with thousands of comic-loving fans in the greatest community anywhere! Enjoy shopping at stores from around the world and catering to every taste and bringing you better deals than you'll find anywhere! Find what you're looking for in comic books, graphic novels, action figures, trading cards and more! Shop from your CCL wishlist or grab that great bargain that you didn't even know you wanted! Just like a comic convention, only everywhere and never closed! Also, don't forget to check out the FREE 30 day trial of the ultimate desktop software program for organizing your comics, action figures, trading cards and more. FREE Membership gives you access to browse hundreds of friendly online Comic Shops. Enjoy easy searching, competitive pricing, and find those elusive items you have been looking for! Ever wanted to open a Comic Shop? Well… now you can! Set up shop with Comic Collector live and start selling your comic related inventory. It’s like setting up shop at a virtual, never ending Comic Convention! FREE Membership allows you to use our Encyclopedia to research information about Comic Books, Action Figures, Statues, Busts, and just about every comic related product in the world! Catalog and organize Comic Books, Action Figures, Statues, Busts and all of your comic related collectables! Try our software Free for 30 days! What Can You Do With CCL? 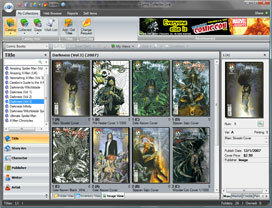 Organize comic books and collectables with CCL's professional desktop software. Shop for comic books and collectables from hundreds of shops. Fill out your collection. Set up a store and sell comic books and collectables online. Research hundreds of publishers, tens of thousands of titles, hundreds of thousands of comic books, graphic novels and even the most hard-to-find variants with our online database. Read comic book reviews and interact with our community of comic book collectors and fans. 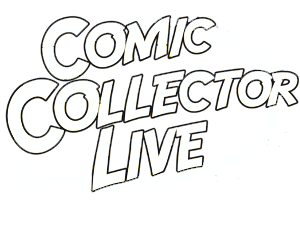 Comic Collector Live is everything comics.